Loren, how do you describe your work? The goal of my collection is to make a statement, start a conversation or tell a story. Most of my pieces are one-of-a-kind. Jadyn’s Jewelbox features distinct designs inspired by fashion vogues from eras past – from Art Deco to modern times. 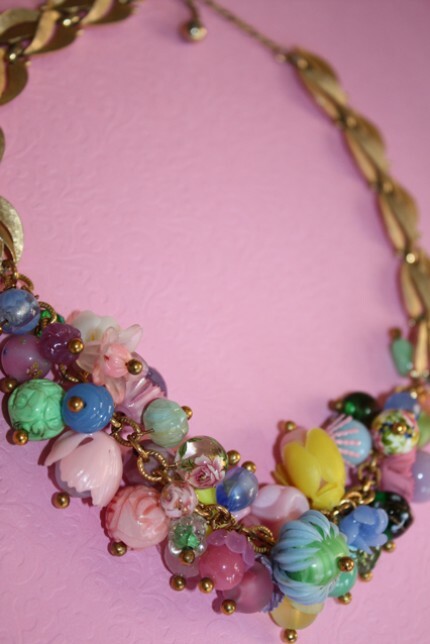 My jewelry showcases a mix of new and vintage beads, chains, semi-precious stones and charms. 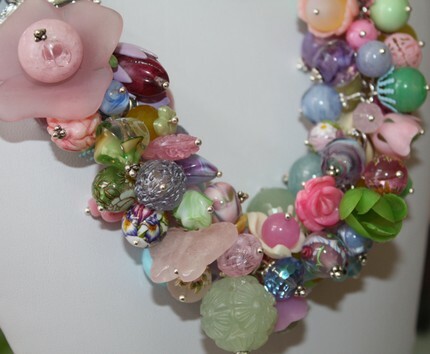 I especially love beads that have texture like carved designs as well as handmade lampwork beads. 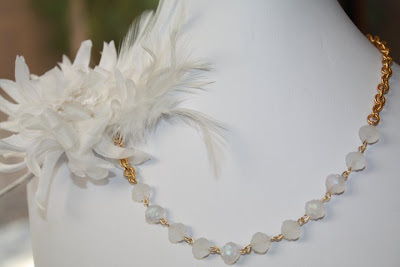 I recently started designing bridal jewelry that uses a mix of something old like brooches or dress clips that I turn into pendants as well as something new like the beads or chain I use. A portfolio of my bridal jewelry is available at Jadyn's Jewelbox. I love the thrill of the hunt for unique components that I use in my designs – especially vintage. That’s what tells a good story. The name, Jadyn’s Jewelbox, was inspired by my daughter, Jadyn, who loves rummaging through my old jewel box filled with treasures from three generations. It’s a combination of things. It could be the colors of the flowers I see when I look out the window, a dress pattern in a catalog, my daughter’s artwork. All of these things inspire me to try new colors or combinations of textures. My process is not the same every time. Sometimes I buy beads knowing exactly how I will use them. Other times, creations are born after milling through what’s in front of me on my dining room table. 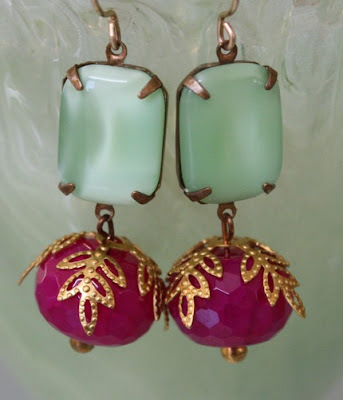 Often, I just daydream about new designs too! I tend to work in chunks of time because being a mom to a 3-year-old (and having another on the way) does not lend itself to hours of work time on end. · I had a lot of creative energy to burn being a stay-at-home mom. Rummaging through magazine pictures of jewelry, I thought I could create pieces myself – but better. · I bought some books, taught myself techniques and started experimenting. · After receiving positive feedback from family and friends on my work, it seemed natural to start a business. · Etsy provided a simple way to start a business almost immediately. 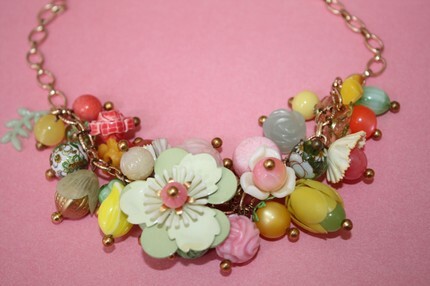 Etsy is a wonderful online community for buyers and sellers of handmade goods. So I set up an Etsy shop. I love hand blown or lampwork glass beads. They are works of art in themselves. Vintage or new, I’m always looking for unique ones with beautiful swirls of colors that could stand alone or enhance one of my pieces. History. I love looking at old photos from family or old fashion photos and movies from the 1920s-40s. 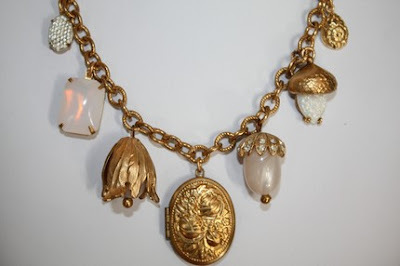 The jewelry back then was so glamorous and still has an impact on the jewelry we see in today’s fashions. I’m also inspired by nature like flowers and breathtaking Arizona sunsets. I don’t really ever feel frustrated when making jewelry. If I happen to stumble upon a problem, I usually just walk away and start again later after a break. Be patient. Don’t expect anything big to happen at once. Realize that your business will ebb and flow. Have goals that you can achieve in steps. Provide the best possible customer service. People will come back. Network online through social media outlets like Twitter and Facebook or through Etsy or any other online venue in your industry. Network in person (Of course, I need to do more of that myself!) by visiting shops, attending trade shows or just talking to people you know. I recently launched a communications consulting company called The Flip Side Communications using my background in public relations, copywriting and employee/human resources communications. Being a stay-at-home mom of a 3-year-old and with another baby on the way and launching two businesses is definitely challenging, but I am excited about the future possibilities they bring. My favorite comfort food at the moment is peanut butter. I’ve always loved a good peanut butter and jelly sandwich, but I recently got hooked on all natural honey roasted peanut butter from Sprouts Farmers Market. Yum!